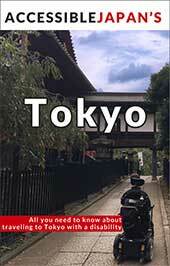 Despite the name, Heian Shrine does not date back to the Heian Period (794-1185). 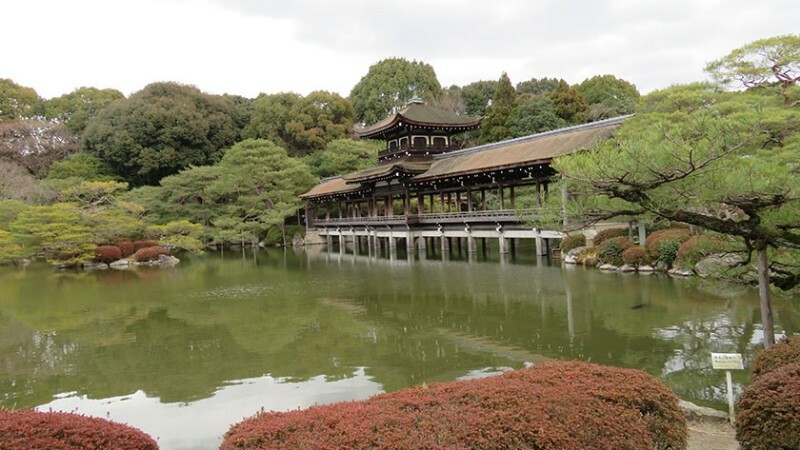 The shrine was built in 1895 to celebrate the 1100th anniversary of the capital’s foundation in Kyoto (formerly known as Heian-Kyo). 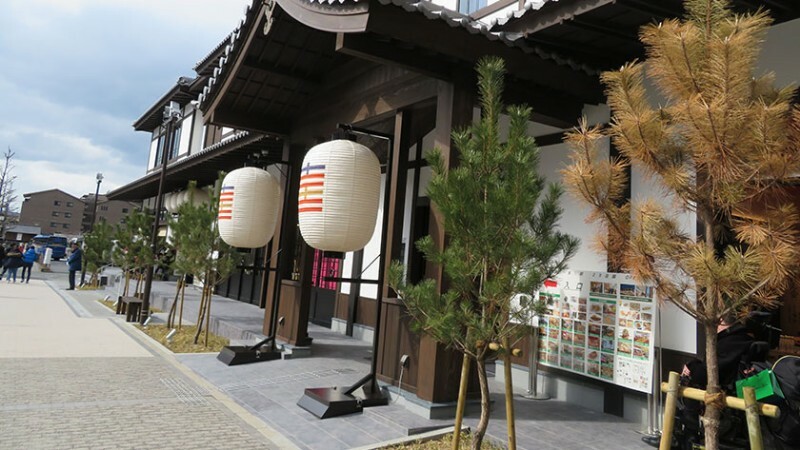 It is dedicated to the first and last emperors to reigned in Kyoto – Emperor Kammu (737-806) and Emperor Komei (1831-1867). 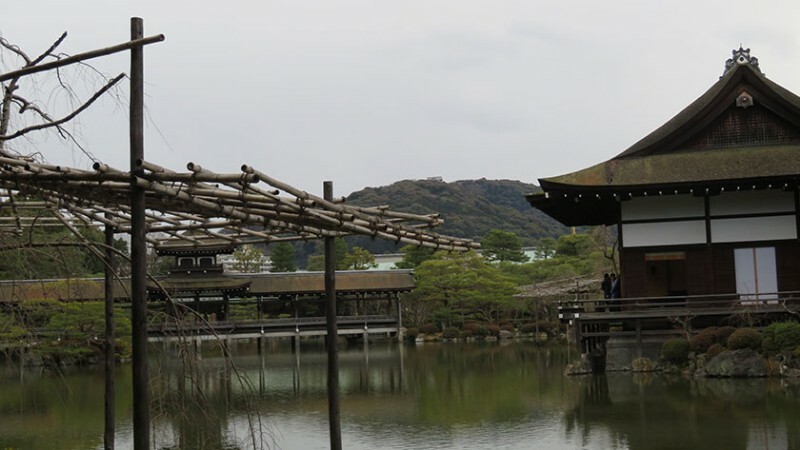 The building is a 5/8 replica of the Heian Palace of Heian-Kyo. 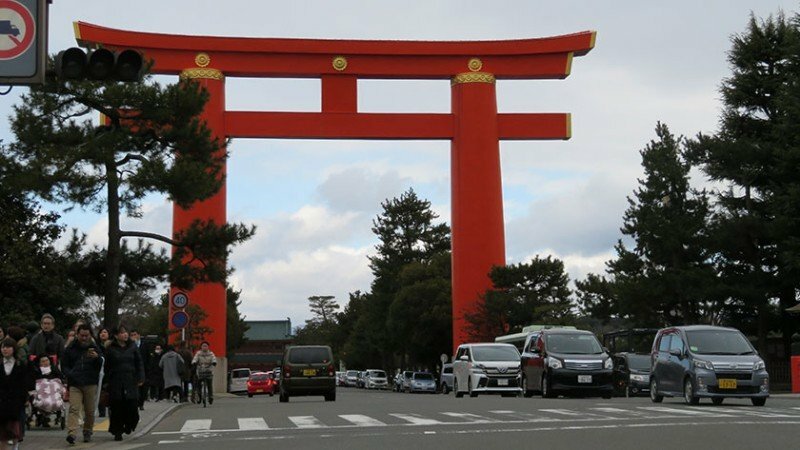 Approaching the shrine, visitors are greeted with gigantic torii gate before the main gate to the shrine. The grounds of the courtyard are spacious and wide open. 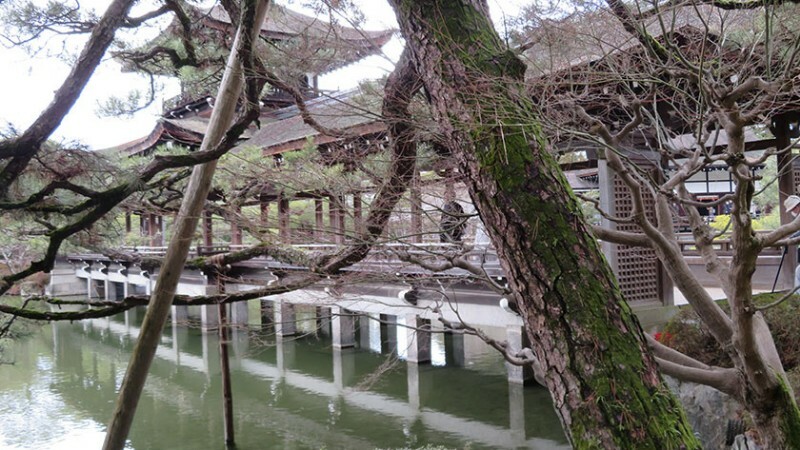 Behind the buildings there is a garden with plants, ponds and traditional buildings. 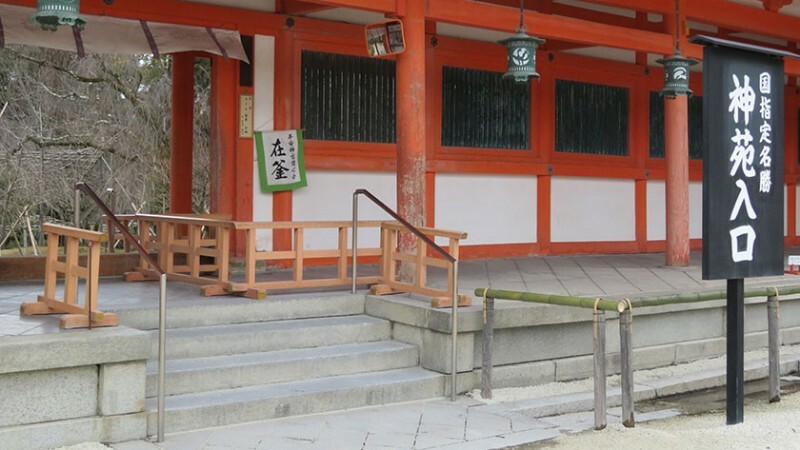 The shrine is also used for various events, including the Jiday Festival (October 22). 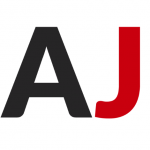 In celebration of the anniversary of the founding of Kyoto, a parade of people in costumes from different historical periods march from the Kyoto Imperial Palace to Heian Shrine. 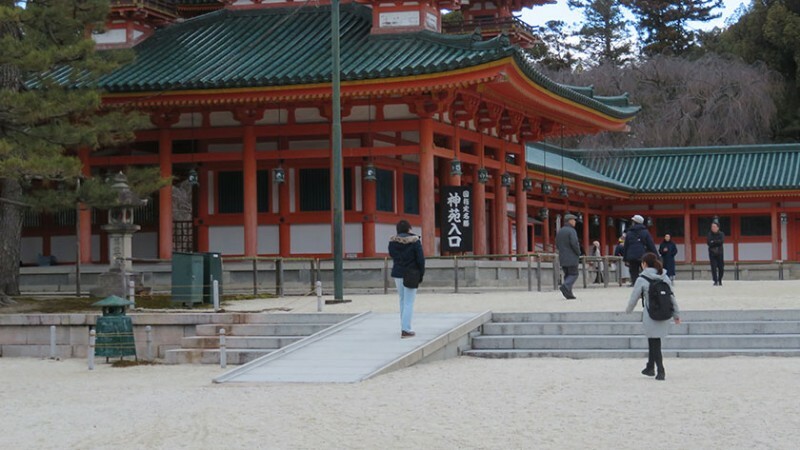 The shrine is free to enter all year round from 6:00-17:30. Though it should be noted that closing time changes with the seasons, so please check the official website. 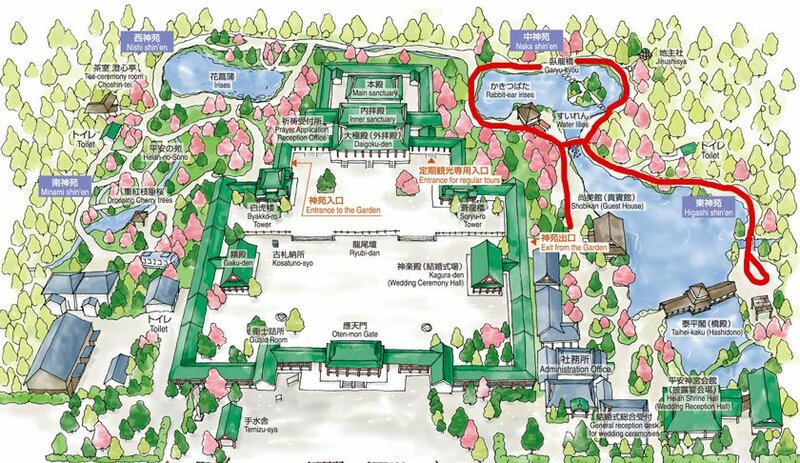 The Heian Shrine gardens are open from 8:30-17:00 (again, varying by season) and cost 600 yen. 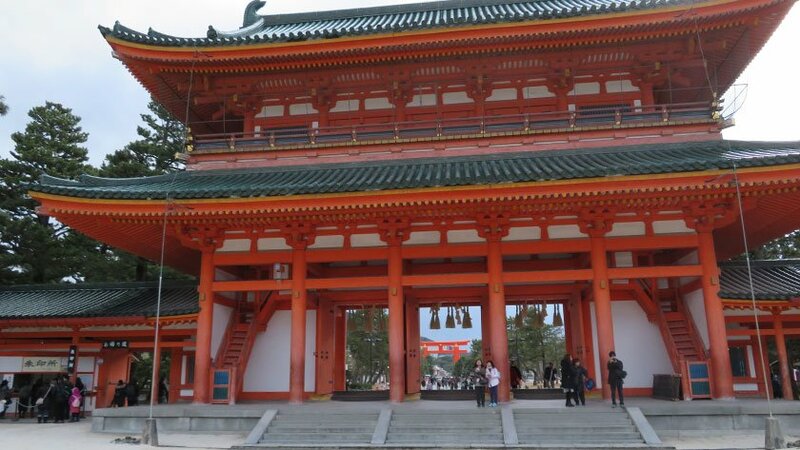 Heian Shrine can be reached by the Kyoto city bus (Kyoto Kaikan Bijutsu-mae Stop). 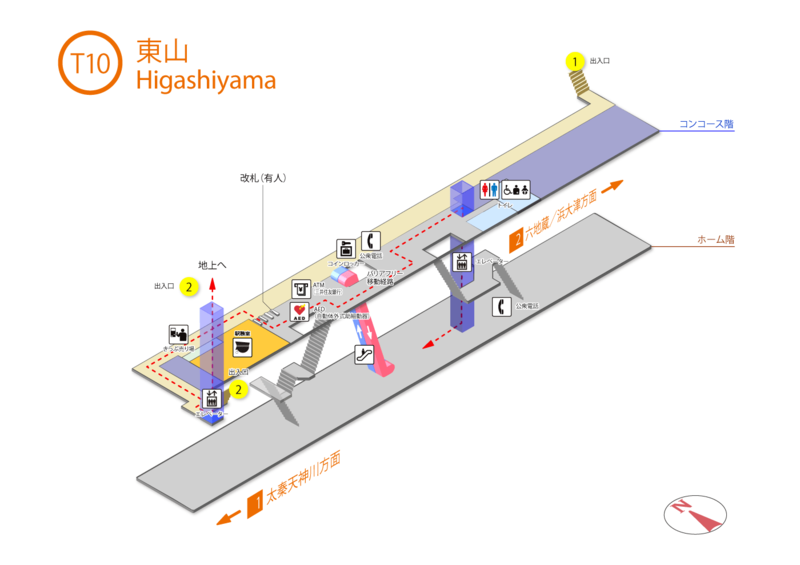 It is also possible to walk from Higashiyama Station (station map, elevator at exit #2), but the distance is around 1km. 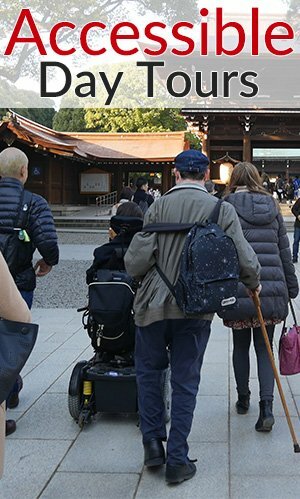 Heian Shrine has a number of obstacles for visitors with disabilities, especially those in manual wheelchairs. The main gate has three entrances. The central entrance and the entrance on the right side have steps and are not wheelchair accessible. The entrance on the left has a set of ramps providing access. However, even approaching the main gate requires going over 2-4cm thick gravel. Once inside, the entire courtyard is gravel. 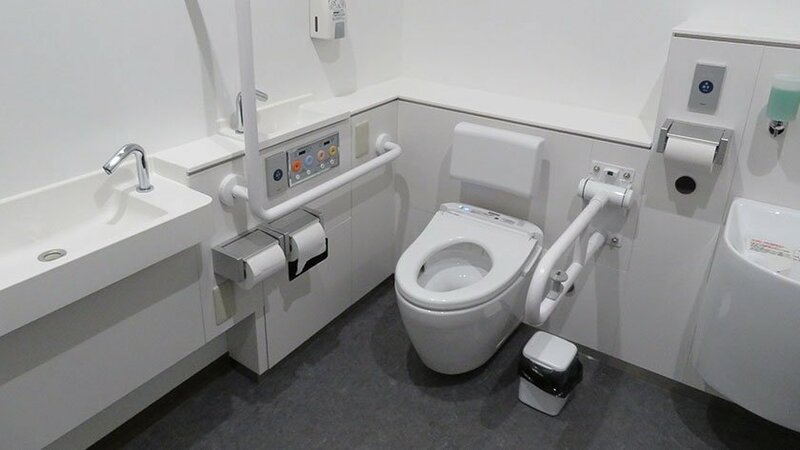 While power wheelchairs will likely not get stuck, manual wheelchair users may have a very difficult/tiring time getting around. Those with other mobility issues may also have trouble balancing/moving in the gravel. The courtyard is divided into an upper and lower area by a set of steps, but there is a ramp available to the left. The garden is nearly completely inaccessible to wheelchair users. The main entrance has a few steps, so wheelchair users are permitted to enter from the garden exit. However, since there is no cash register / ticketing at the exit, staff will insist you purchase a ticket at the entrance and then go to the exit to enter. 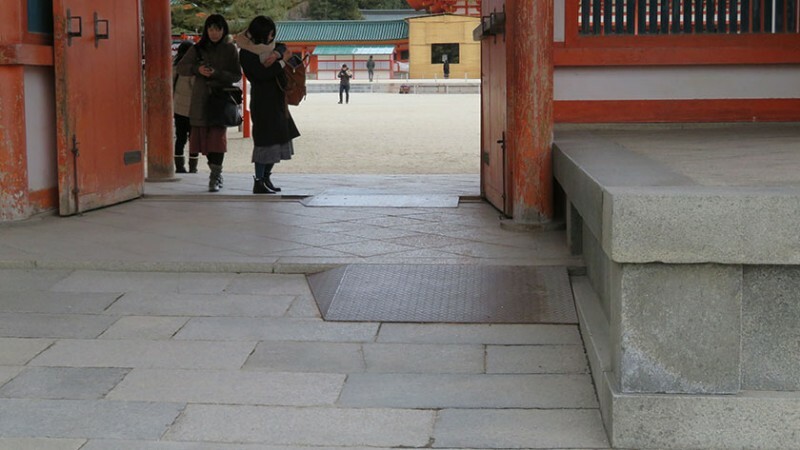 Since there are only stairs at the entrance, a companion will need to buy tickets for those who cannot climb steps. Even the garden exit has a small bump in (2-4cm). Once inside, the staff must open up two small gates to allow access to the main route. It is possible to go aound two of the ponds, but that is it. 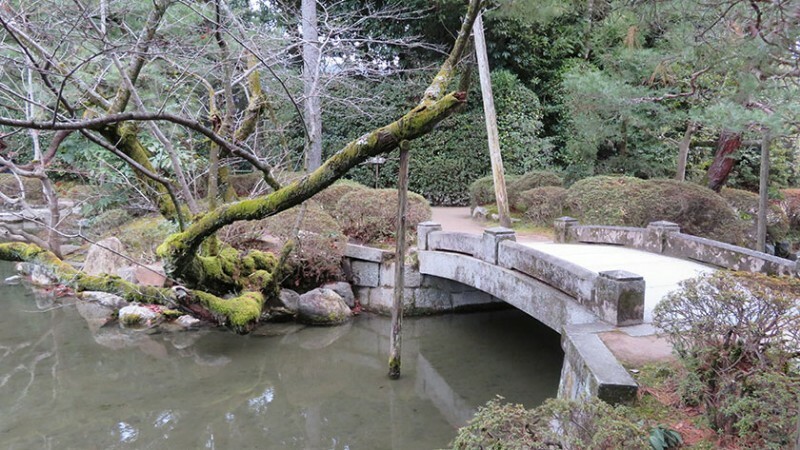 Only about 30% of the garden is accessible to wheelchair users. The paths are dirt and a bit uneven. 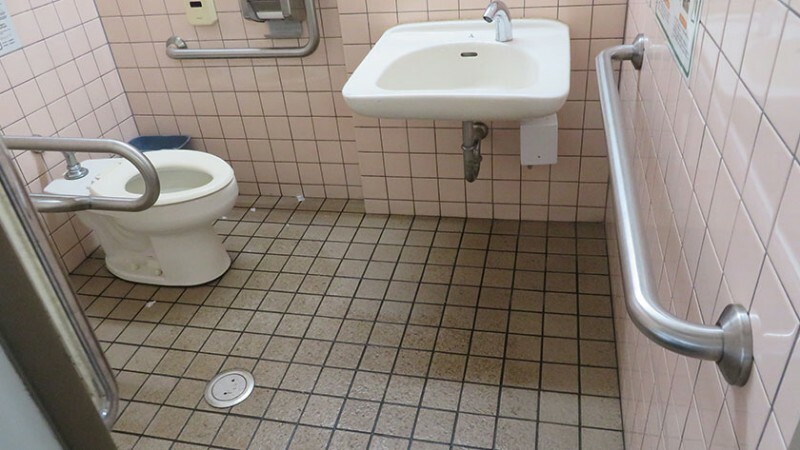 There is an accessible toilet in the small park in front of the shrine, but the Toni Toni souvenier and restaurnt complex (http://1022.kyoto.e.adg.hp.transer.com/) just west of the shrine entrance has a very nice accessible toilet. While the courtyard of Heian Shrine is beautiful, that is all that will be available to many visitors with disabilities. 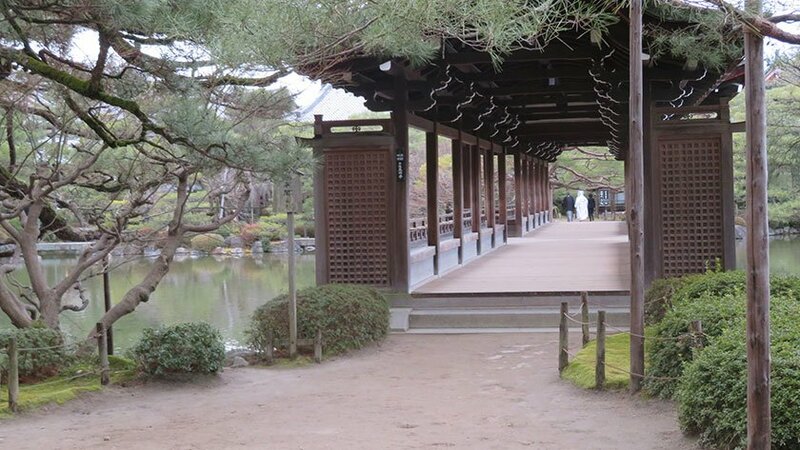 It is possible to see a bit of the garden, but the hassle of buying tickets at one side of the courtyard, crossing over thick gravel to the garden exit at the opposite side, and then only seeing about 30% of the garden is likely not worth it for most visitors. 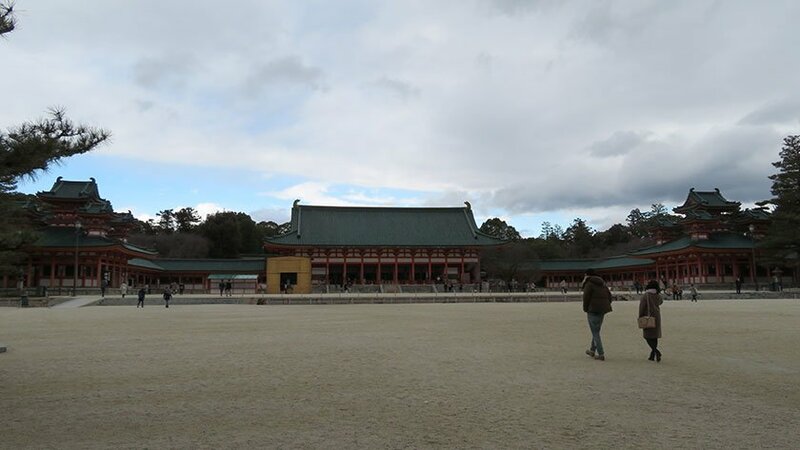 Leave your questions or comments about Heian Jingu here!